City60, 30, 15, and City6 are all open to adults. Perfect for first-timers and experienced athletes. Plus we have City15 and City6 especially for Kids and Youth! Make this October your double header and race at both City60 Bike-Run Challenge and CSC Run by the Bay. 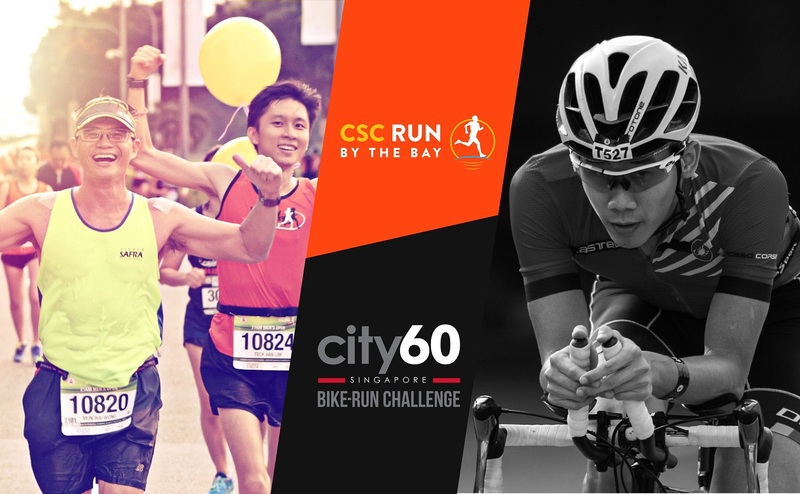 CSC Run by the Bay is a spectacular sunset run around Marina Reservoir on 20 October. SAVE UP TO 15% when you sign up for the bundle! All prices are inclusive of 7% GST and race license fee. Members of the TAS are exempt from the TAS Day of Race License. Enter the TAS promo code at registration checkout. Groups of 10 get a 5% discount on group registrations. 10% discount for a minimum of 20 participants. Email city60@metasport.com to enquire or register your group.